TEMPO.CO, Seoul - North Korea really going to realize the threat to demolish the military bases the United States and South Korean rival. 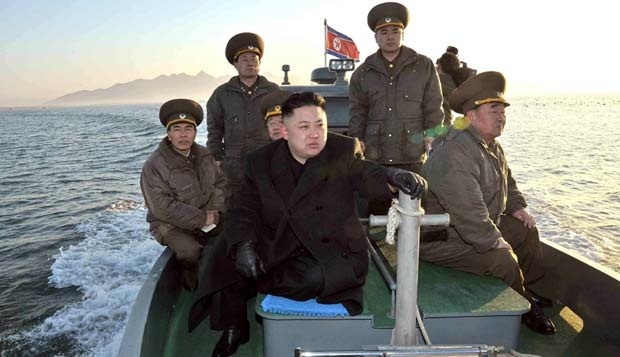 Sources in South Korea said Pyongyang is now moving medium-range missiles to the east coast of the country. This step addressed the United States by increasing its defense in the Pacific in order to anticipate the threat of air attack Pyongyang. South Korean Defense Minister Kim Kwan-jin, told North Korean missiles can reach the acclaimed short distance, but was unable to reach the continental United States, "It may be known at the time of firing trials or military training," said Kim in front of members of parliament. A number of intelligence analysts cited the South Korean news agency, Yonhap, said the missile is believed to reach the North kroea Musudan within about 3,000 miles or more. North Korea repeatedly expressed his displeasure against the exercise of U.S. military and South Korea during March and continued until the end of April 2013. In fact, the country's superpower sending B-52 bomber and stealth fighter jets, including the destroyer warships to South Korea to strengthen joint military exercise. The two allied nations were arguing that such acts are routine exercises. Instead, North Korea charged that the exercise was in preparation for an invasion. Therefore, the country set up nuclear weapons to defend itself. On Thursday morning local time, 4 April 2013, North Korea's military said, they get final approval for military action to fight the United States, including the possibility of using nuclear weapons. "The moment the war is fast approaching," said the general.